Many people wonder where the name “JmanX” comes from. So back in the day, I was a huge fan of the Mega Man games, especially Mega Man X, which was probably one of my favorite all time games. 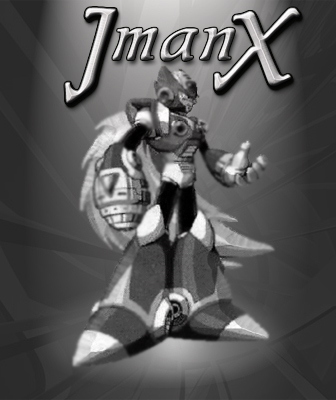 So when I created my online handle “JmanX”, it was a play on the name of that game, using my name (Julian) as the first letter. It’s also why I used to use the character “Zero” from that game in a lot of the website logos and imagery back then. However the name “JmanX” actually has a little more too it. My favorite number is also “10”, and JmanX is actually 3 different 10’s. “J” is the 10th letter of the alphabet, “X” is the Roman numeral for 10, and the letters MAN add up to 10 (M=13th letter, A=1st letter, N=14th letter, so 1+3+1+1+4=10). Also, “Manx” is the name of resident of the Isle of Man, a British island (I’m also partially of British heritage). So yeah, that’s some of the reason for the name, and now you know how a stupid fanboy obsession of a video game turns into a complete and ridiculous online persona.